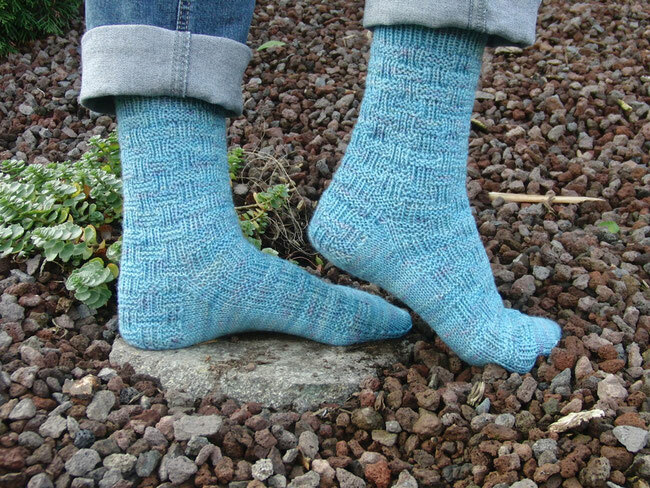 Canmore Socks - monemades Webseite! In Canmore, Canada, Evey and I had the pleasure to meet two local Ravelry friends, Lauren and Eryn. After an extensive breakfast with more chatter and fun than food, we spent the day together exploring the town and the region. And believe me, Canmore, nesteled in the Canadian Rocky Mountains is for sure a beautiful spot! 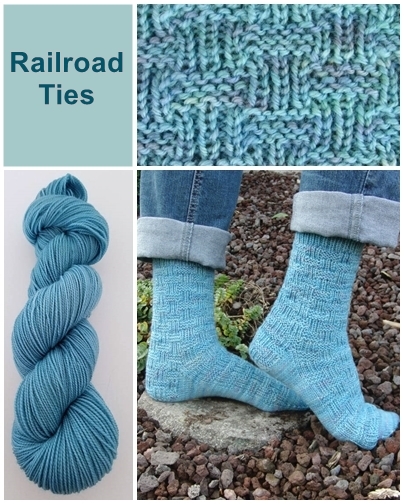 So no wonder that the sock patterns I designed for the two local ladies, are about things I remember from our visit there. and you need to know where we stayed to understand why. Canmore is divided into two parts by railroad tracks and our hotel (which was fantastic!) was just across the street from the tracks. Ever so often a train would make its way through Canmore, a truly impressive sight. And the sound of a train slowly going through town always reminds me of the fab visit we had. Eryn's socks were inspired by the beautiful landscape around Canmore. The Cascade Mountain is a peak in the Bow River Valley in sight of the town and it’s named after the waterfall that cascades down its southern flanks. 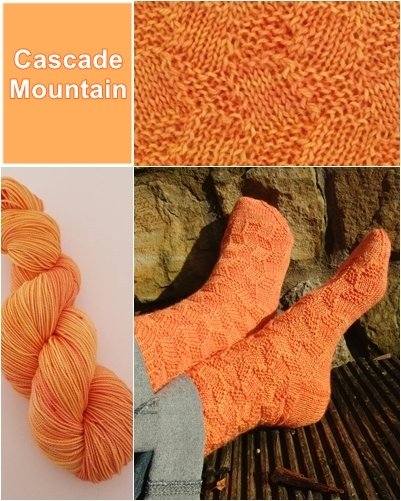 So the knit and purl stitch pattern I chose, seems to cascade down Eryn's socks: Cascade Moutain.